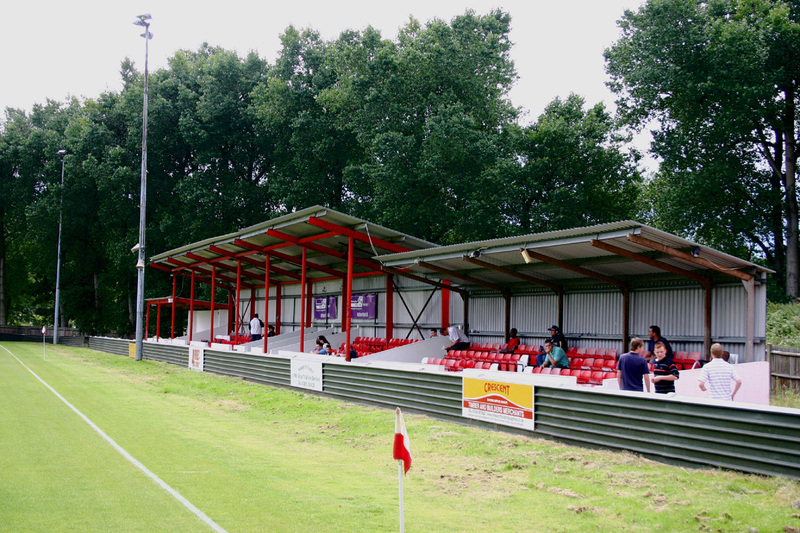 Four of the Woods' Under 18s squad have been selected for the Middlesex FA Under 18s team which plays the Essex FA in a South East Counties Youth Championship fixture at the new Middlesex FA Rectory Park facility. The game is scheduled for this Sunday 3rd February, kick-off 1.00 pm., and admission is free. The sat-nav location is UB5 6AU. Caolan Doyle, Jamie Fulton, Simeon Olarenin and Ollie Lawford are the Northwood youngsters who have been called up, whilst Kyran Worrell - who has scored four goals this season for the first team - is on the stand-by list. Good luck to them all! 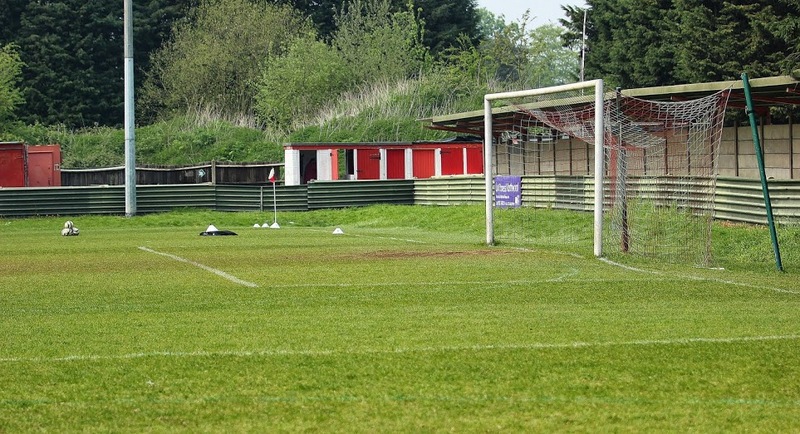 It was back to The Acretweed Stadium for Northwood this afternoon, but despite having gained Bostik League away victories on the past two Saturdays, their recent poor run on home soil continued as Westfield ran out 3-1 winners. The Surrey outfit are on a great run of form, though there wasn't too much to choose between the two sides for most of the game, but they finished well when the opportunities presented. Westfield went ahead in first half stoppage time when Woods failed to deal with a corner, but the home side levelled on 58 minutes through Trey Charles - his first goal for the club - after good work from Miguel Matos and Chris Gosling. 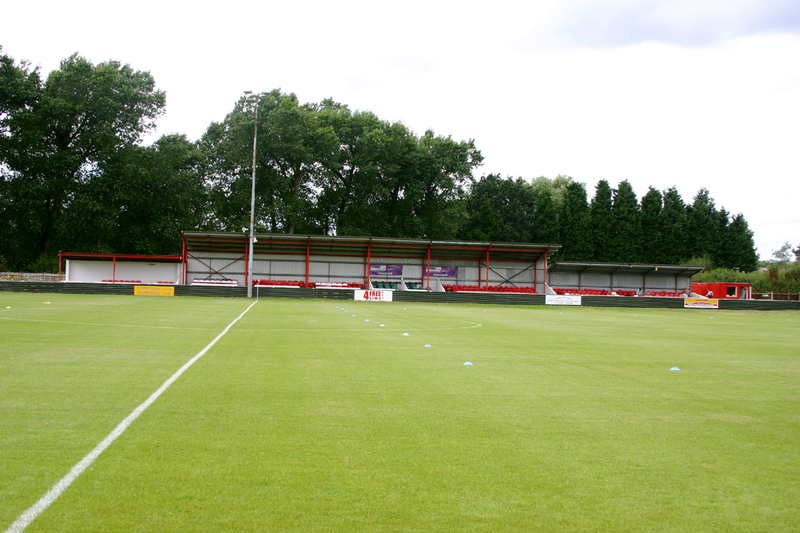 However, goals from Aaron Watson and Tinashe Nkoma ensured that the visitors claimed their fifth successive victory. The match report and photos are here. Get with the programme on Saturday!! The Woods matchday programme is back for Saturday's Bostik League game at The Acretweed Stadium against Westfield, featuring defender Imran Uche on the cover! Inside this issue we have the latest update from Chairman Ian Barry, including an inkling of upcoming ground improvements, and we talk with midfield man Chris Gosling. Also in the programme is the regular column from sports journalist Matt Ford, a thought-provoking comment on the recruitment of BME managers. Add to that, Alan Evans' Pyramid Panorama, match reports and photos, a visitors' review, plenty of historic content plus other features, it's an issue that you won't want to miss! Costing just £2.50, the Woods matchday programme will be on sale in the clubhouse and at the turnstiles. A stoppage time winning goal saw Northwood take the Bostik League points on the road for the second week running, as they came out 3-2 on top at Ware this afternoon. Dan Pett put Woods ahead on 11 minutes with a cool finish after being sent away by a fine through ball. And in the 24th minute some great work from Trey Charles put Kweku Lucan into box and he finished with a good strike across keeper. The home side pushed strongly in the second half and they pulled one back through Brandon Adams on 68 minutes, before Albert Adu levelled six minutes later. Into added time, and Sam Jenkins fired in a fierce low cross, which Gareth Madden could only put into his own net - and the three points were Northwood's! The match report and photos are here. Prior to tomorrow's tough away game at Ware, Manager Scott Dash has strengthened his squad with the capture of midfielder Yahya El-Khabouche from rivals Uxbridge, for whom he has made 17 Bostik League appearances this season. Yahya is 22 years old and had previously played for Ashford Town (Middlesex) and Hadley, having started out at London Tigers and goes straight into the squad for tomorrow's big game. We wish him a enjoyable time with the Woods! In a repeat of the Senior Cup tie last October, the Woods have been drawn away to AFC Hayes of the Combined Counties League in the quarter final of the Middlesex Senior Charity Cup. The tie will be played on Tuesday 19th February. 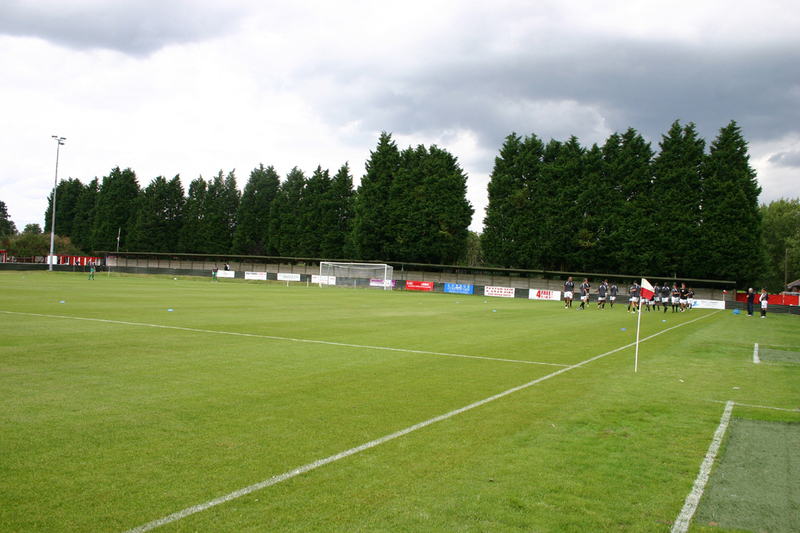 In previous rounds of the competition, Northwood defeated Wingate & Finchley on penalties and Harefield United 6-0, whilst AFC Hayes beat Cockfosters 3-1 after having received a first round bye. Northwood manager Scott Dash would be happy with a repeat of that Senior Cup fixture, which saw a 3-0 Woods victory. Back in Bostik League action this afternoon, the Woods picked up a good three South Central points on the road at play-offs chasing Waltham Abbey. Dan Pett scored the only goal of the game, and there was a solid performance from a defence which was superbly led by shipper Carl Pearce, plus a clean sheet for keeper Luke Sheldrick. That winning goal arrived a minute into first half stoppage time when Pett hit a strong shot, and although the home keeper got a touch on the ball, he couldn't keep it out. Robin Piper’s match report together with photos from James Brown are here. We are sorry to have to report that the Woods' young central midfielder Hakim Nyariki fractured his leg in training last night, so will be sidelined for some time. Everyone at the club sends Hakim our best wishes for a speedy recovery. Referee Paul Johnson took centre stage in tonight's Bostik League fixture, which saw Northwood go down to a controversial 0-1 defeat by Chalfont St Peter at The Acretweed Stadium. The man in black inexplicably failed to red card on 14 minutes the visiting keeper who brought down Jabir Laraba, who had a clear goalscoring opportunity, simply cautioning the player. Then early in the second half the visitors were awarded the softest of penalty kicks, ultimately deciding the destiny of the points. And the game was then delayed for 12 minutes when Mr Johnson left the field blaming a hamstring injury, whilst a replacement official was readied, which further disrupted a match which could never be described as free-flowing. Not the most entertaining of evenings! The match report is here. Manager Scott Dash has moved to improve his attacking options ahead of Tuesday night's Bostik League home game against Chalfont St Peter with the signing of the experienced Tremayne Charles on dual-registration with Southern League Bedford Town. Tremayne is 25 years old and joined the Eagles recently, having spent the previous eighteen months with Southern Premier side Hitchin Town, making over 50 appearances. He started out at St Albans City and has also had spells with Leighton Town, Arlesey Town, Colney Heath and Leverstock Green amongst others and goes straight into the squad for the Chalfont game. Get with the programme tomorrow!! The Woods matchday programme is back for tomorrow's Bostik League game at The Acretweed Stadium against Chalfont St Peter, featuring Sam Jenkins on the cover! Inside this issue, Craig Whitehead talks with Andrew Ofosu and also with former Woods star Gavin Hart. Also in the programme is the regular column from sports journalist Matt Ford. Add to that, Alan Evans' Pyramid Panorama, match reports and photos, a visitors' review and plenty of historic content, it's an issue that you won't want to miss! Costing just £2.50, the Woods matchday programme will be on sale in the clubhouse and at the turnstiles. 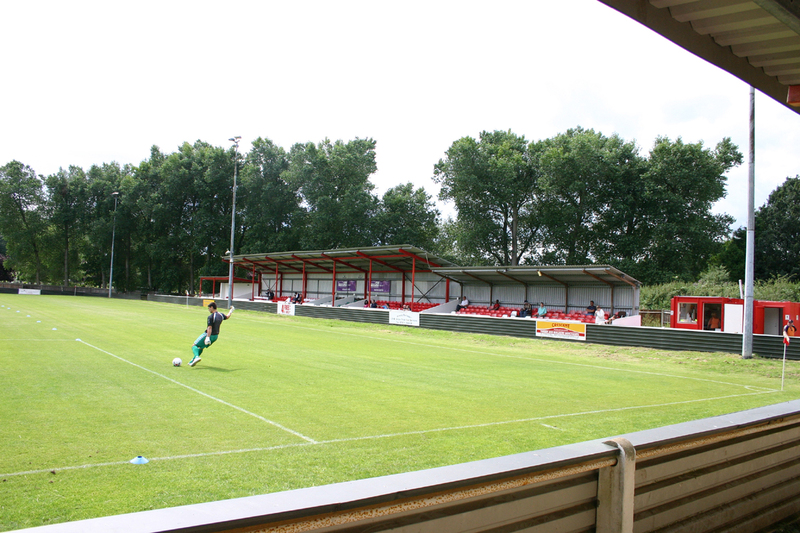 Northwood slipped to a narrow 2-1 Bostik League defeat against Cheshunt at The Acretweed Stadium this afternoon, with the visitors grabbing an 88th minute winner. It was scant reward for a spirited Woods performance, and the home side had the chances to take a first half lead. But it was Cheshunt substitute Jason Hallett who broke the deadlock on 54 minutes. Sam Jenkins hit a fine goal for the equaliser in the 71st minute, but Northwood lost a deserved share of the points when they failed to clear in the closing stages and Hallett forced home the winner. The match report and photos are here. Three of the Woods' Under 18s squad have been selected for the Middlesex FA Under 18s team which tomorrow plays the Liverpool FA in the FA County Youth Cup third round at the Liverpool FA headquarters at Walton Hall Park. The kick-off is scheduled for 1.00 pm. Caolan Doyle, Jamie Fulton and Olly Lawford are the Northwood youngsters who have been called up, whilst Kyran Worrell - who has scored four goals this season for the first team - is on the stand-by list. The Woods matchday programme will be available as usual for our first Bostik League game of 2019, at The Acretweed Stadium on Saturday against Cheshunt, featuring Miguel Lopez De Matos on the cover! Inside this issue are updates from chairman Ian Barry and manager Scott Dash, and we hear from John Joyce in our Fan in The Stand feature. 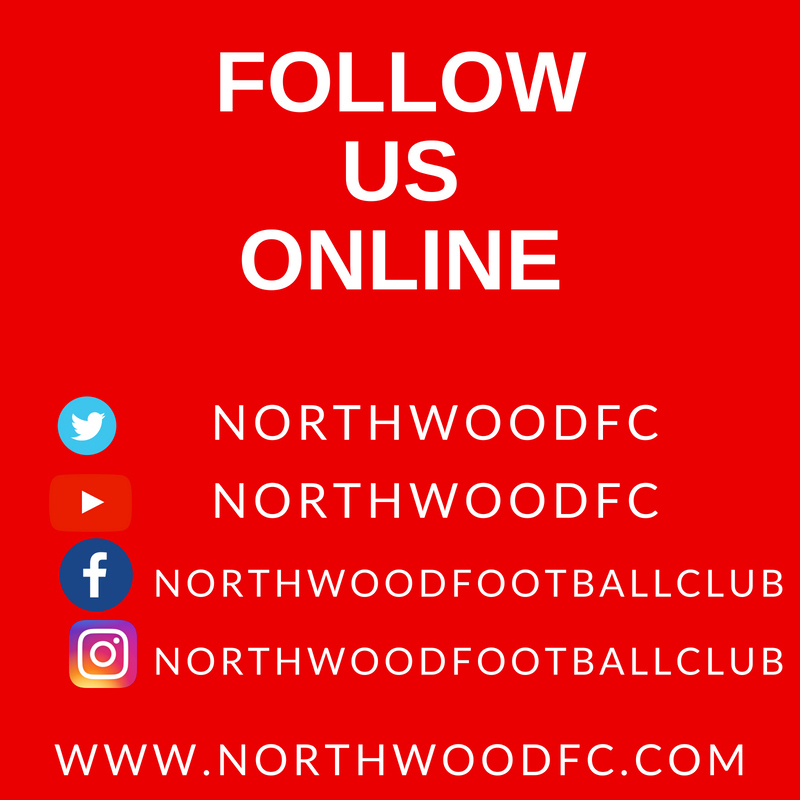 Also in the programme Alan Evans looks back on Northwood's 2018, plus we have the regular column from sports journalist Matt Ford, match reports and photos, a visitors' review and plenty of historic content - it's an issue that you won't want to miss! Costing just £2.50, the full colour 36-page Woods matchday programme will be on sale in the clubhouse and at the turnstiles on Saturday.